Holographic Tapes provide utmost level of protection for cartoons, boxes and envelops. These tapes are designed using best quality materials and ensure attractive looks. 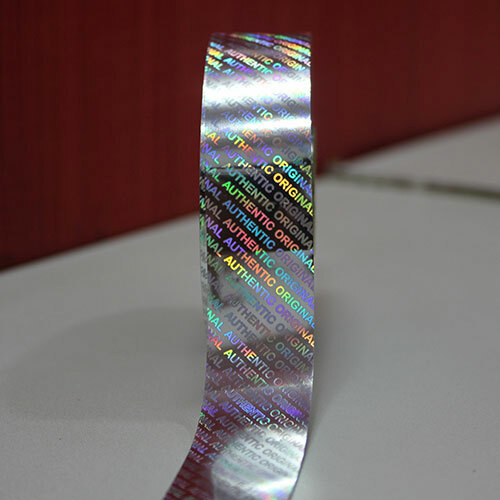 The tamper apparent pattern released hologram tape seals are particularly created for induction sealing to bags, cartons, envelope, box, etc. When the pattern released seal is opened, it'll leave void. This indicates "tamper evidence" or demonstrates that the package has been tampered with. 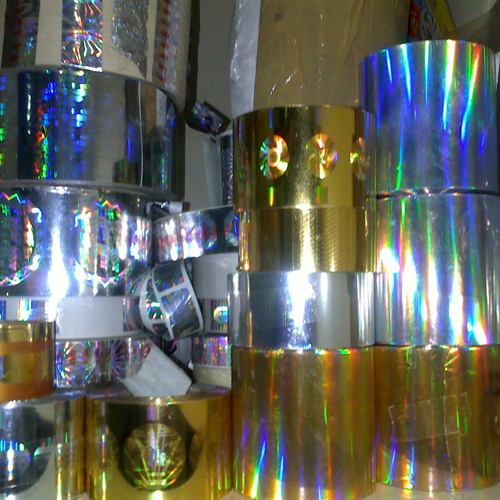 The entire assortment of tapes offers an effective combination of security and attractive appearance. The range of tapes strictly prohibits the concentration of mercury, hexavalent chromium, lead, cadmium, PBDE and PBBs. Ideal for decorative applications where a solid bond is essential without adhesive edge bleeding. We make these tapes availbe in different sizes and colors. Shrinkage Tear Tape is a plastic tape with along shrinking property. This tape is sealed to a packaging material that helps in opening of the pack. The range of this tape enables packing leveling and avoids wrinkles. Laser Tear Tape perform various kinds of anti counterfeit functions. This can be made of single or various sorts of anti counterfeit functions in integrative laser tear tapes.